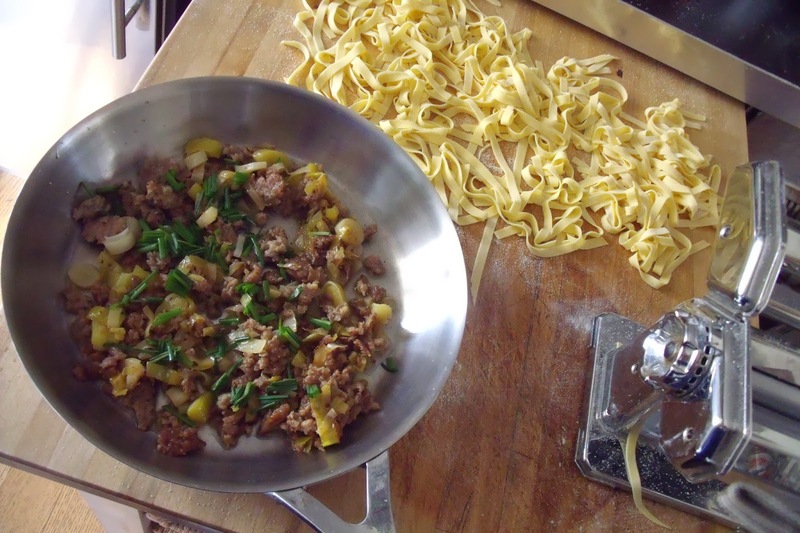 what's cooking in my tuscan kitchen: Tagliatelle with Sausage and Leeks: today's quick pasta dish! 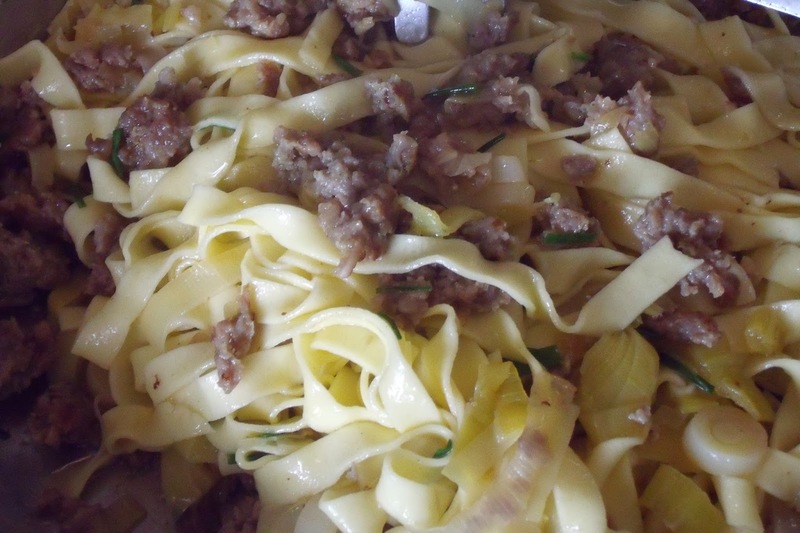 Tagliatelle with Sausage and Leeks: today's quick pasta dish! 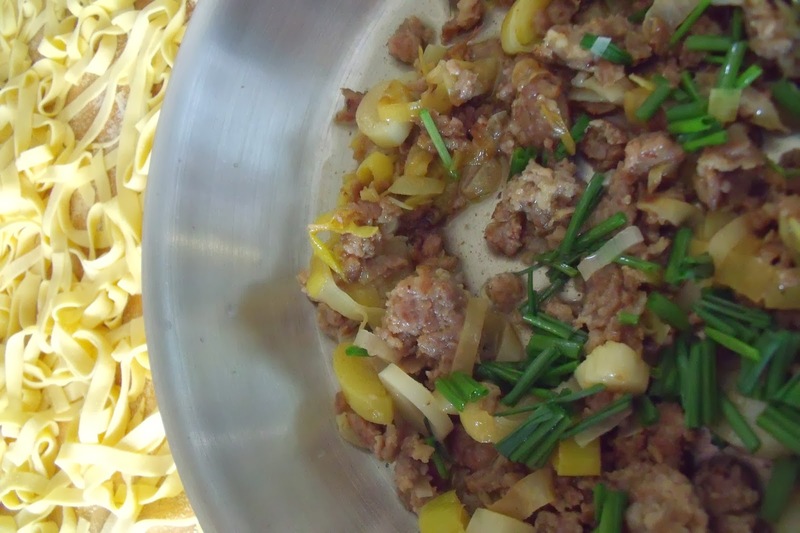 Today's easy pasta dish is home made tagliatelle with crumbled sausage and leeks! Sauté the sausage in a frying pan with a small amount of extra virgin olive oil, when browned add sliced leeks. Sauté for another minute or so. Add a good splash of white wine, lower heat and simmer for about 5 minutes. Salt and pepper to taste. 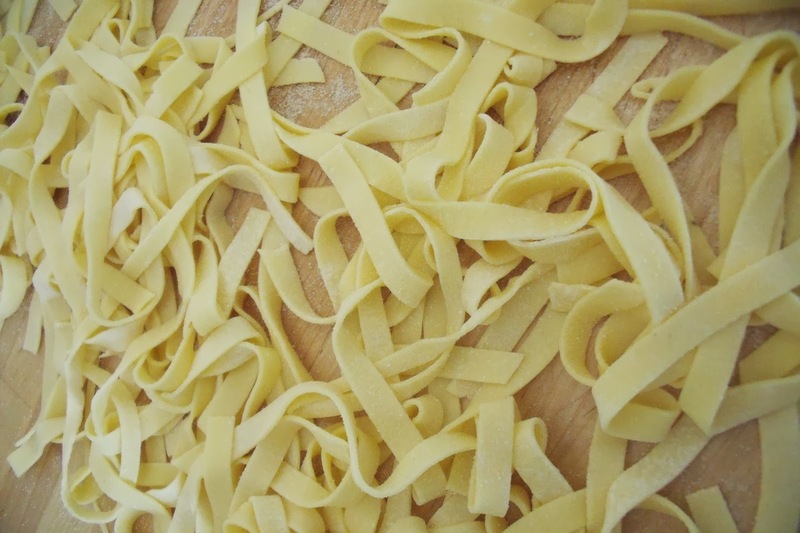 I made homemade tagliatelle, but you can use buy the fresh pasta or even use a short pasta, like penne or rotini. Cook the pasta and drain. Reserve about some of the water you cooked the pasta in. Add the pasta to the pan with the sausage and leeks, add fresh chopped chives for garnish and toss well over a high flame. If it seems too dry, add some of the water from the pasta. All the delicious food are made by vegetable. They are looking very nice. Thanks. I love quick, healthy, homemade recipes!! thanks for the comment!